Wirtland Network in Russian: Виртландия ПО-РУССКИ! Witizens of Wirtland Social Network (W.o.W.) is expanding. Recently a group of Russian-speaking witizens opened a localized witizens network with user interface and commands convenient for users of Cyrillic alphabet - Russians, Bulgarians, Ukrainians. But it is not limited to Cyrillic users only. In accordance with Wirtland's principles, the new network can be automatically translated to any language - just like the main W.o.W. Non-Russian speakers can also sign up using translated interfaces. 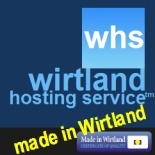 The Russian network is not an official Wirtland network: membership in it does not make you a citizen of Wirtland. 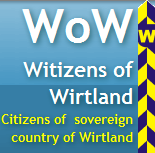 But Wirtland welcomes this initiative, and hopes that localized witizens networks will help to popularize Wirtland around the globe.